May 5, 2009 -- Arkansas State University in Jonesboro will hold spring commencement in the Convocation Center on Saturday, May 9, with one ceremony at 10 a.m. and another at 2:30 p.m. The morning ceremony will include the Colleges of Business, Education, Fine Arts, Sciences and Mathematics, and University College. The afternoon ceremony will include the Colleges of Agriculture and Technology, Communications, Engineering, Humanities and Social Sciences, and Nursing and Health Professions. Dr. E. Gordon Gee, among the nation’s most highly experienced and respected university presidents, will address the graduates at both the 10 a.m. and 2:30 p.m. ceremonies. Gee has served as professor and associate dean at Brigham Young University, Provo, Utah, and was president of West Virginia University (1981-85) at age 37. After leaving WVU, he was president at the University of Colorado from 1985-90, and in 1990, he became president of Ohio State University, serving until 1997. From 1997-2000, he held the presidency at Brown University. 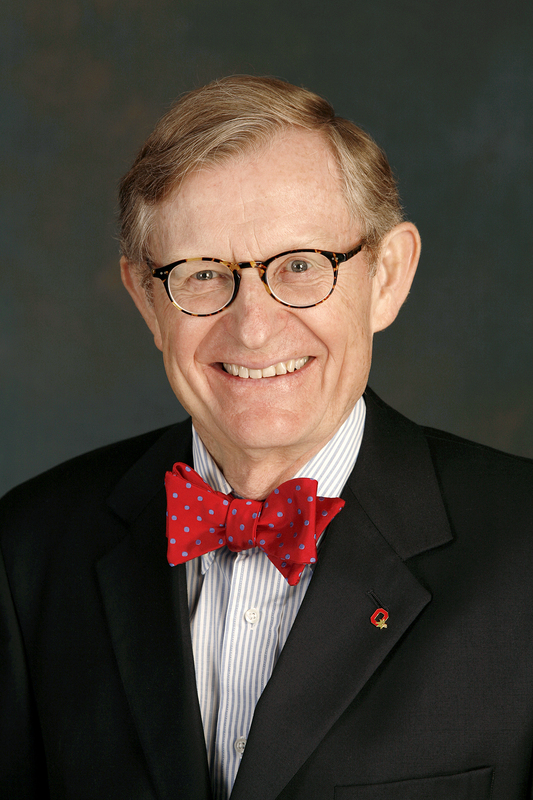 Dr. E. Gordon Gee returned to lead Ohio State University in 2007, after serving as chancellor of Vanderbilt University for seven years (2000-07). Born in Vernal, Utah, Gee graduated from the University of Utah with an honors degree in history in 1968 and earned his J.D. and Ed.D. degrees from Columbia University. He clerked for the U.S. 10th Circuit Court of Appeals before serving as a judicial fellow for the U.S. Supreme Court. Gee returned to Utah as an associate professor in the J. Reuben Clark Law School at Brigham Young University, where he achieved the rank of full professor. In 1979, he was named dean of the West Virginia University Law School, and was appointed to that university’s presidency two years later. Gee is the co-author of nine books and numerous papers and articles on law and education. Dr. Robert L. Potts, chancellor of ASU-Jonesboro, will present the various diplomas. The Office of the Registrar has listed 1,116 students as candidates for degrees at both the graduate and undergraduate levels.